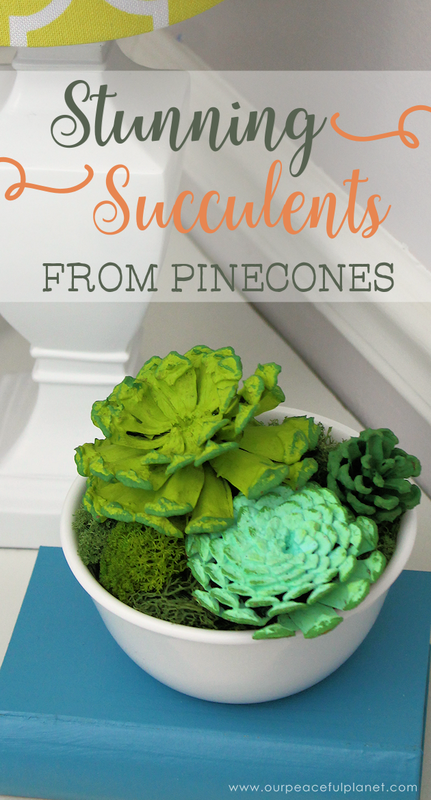 If you’ve always liked succulents but didn’t want the hassle of watering them or the tediousness of making them from paper, this pinecone craft will amaze you! 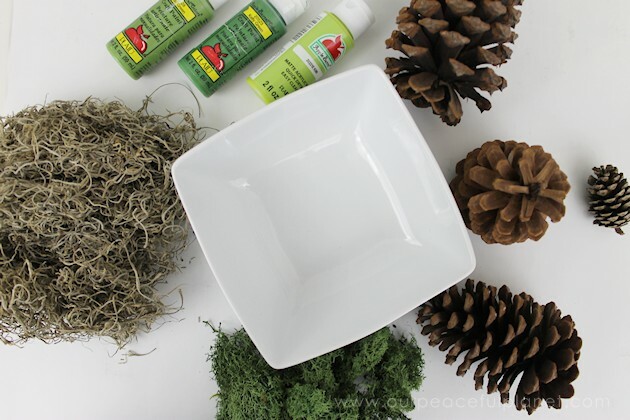 In a matter of minutes you can have a bowl full of stunning succulents you never have to touch again. They just sit there looking pretty. 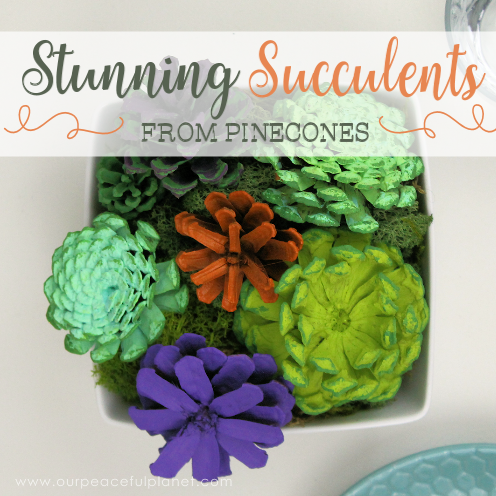 Since they don’t need watering they can be also be used in a huge variety of fun ways. 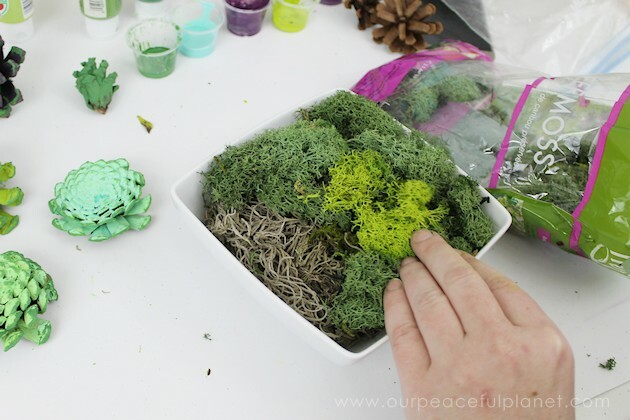 If you enjoy flowers in general that are low care, you might also enjoy our Felt Flowers in 5 Minutes, our DIY Paper Flowers in 5 Minutes and our Coffee Filter Twinkle Light Flowers. 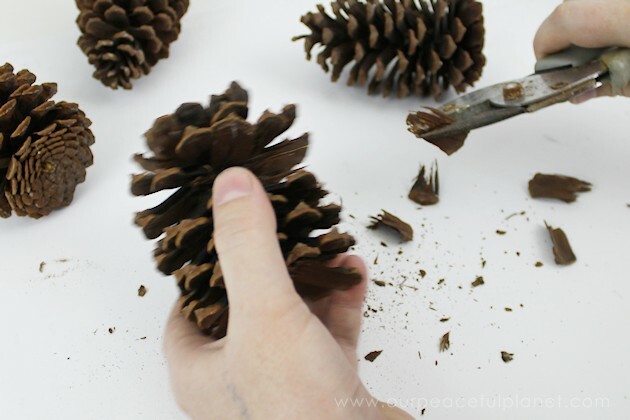 Pinecones of various shapes and sizes. You’ll be using bottoms and tops. 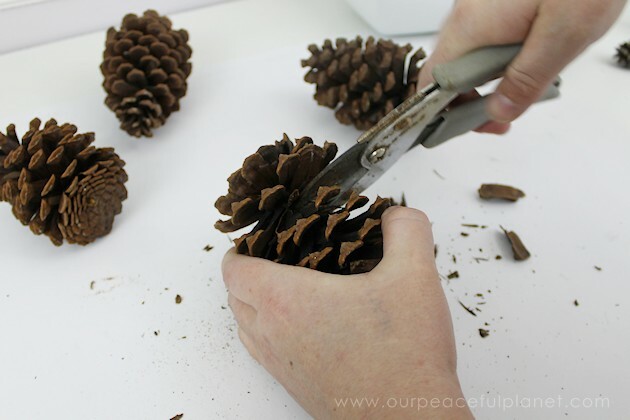 Pruning shears or something to cut your pine cones with. They need a longer tip to get inside. 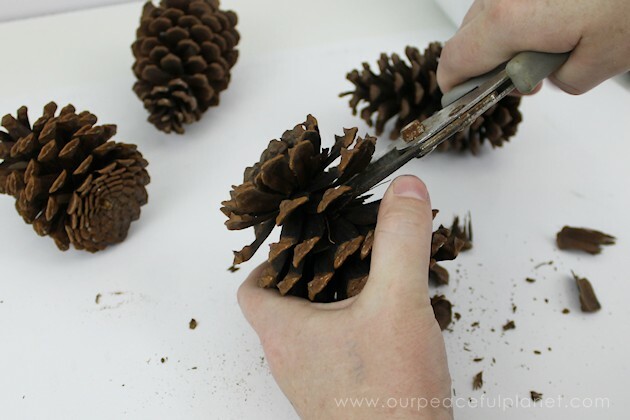 Cut the top and or bottoms off your pinecones. 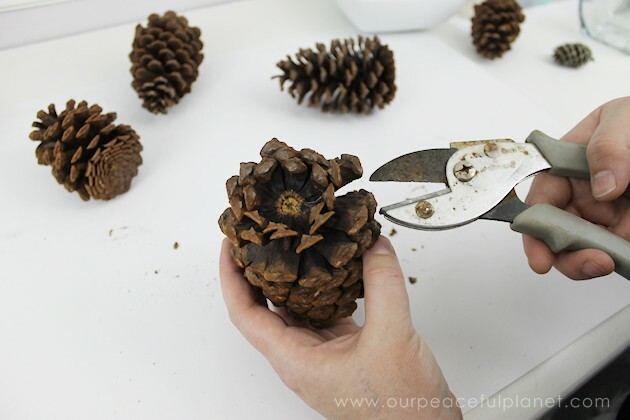 This may require pulling out some of the pine cone scales to be able to reach in to the core. 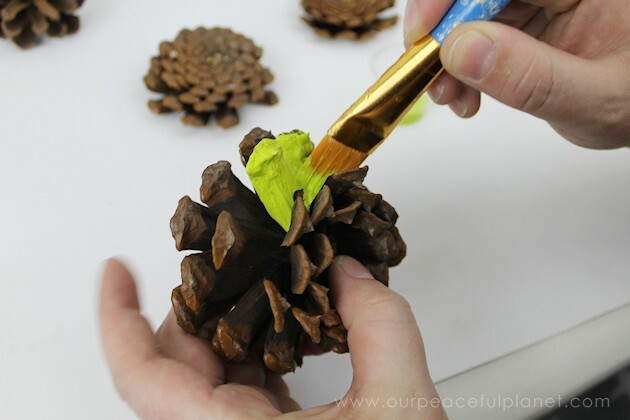 You can use both tops and bottoms of a pine cone as both look appropriate. 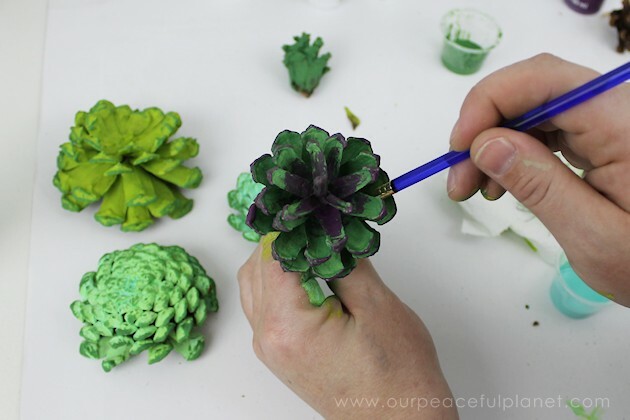 Once you have your pieces, paint as desired either by hand or spray painting. As you can see, the bottoms and tops both resemble succulents. 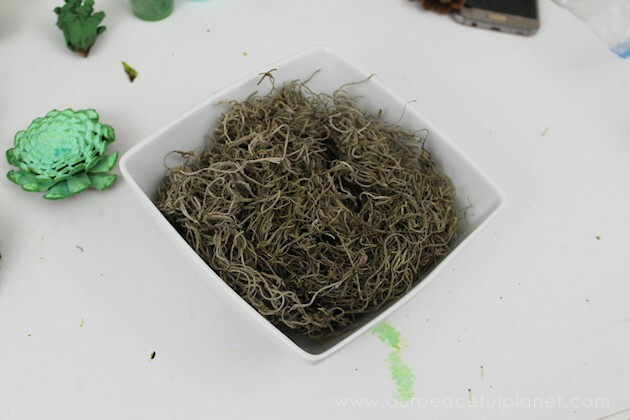 Fill your container with moss or stones if desired. You can now arrange your “succulents” inside.